– In the US, Jonathan could be declared public enemy number 1, and jailed for 100 years if he is lucky the Democrats are in power, that is after he has spent some time at Alcatraz and GITMO bay. The Republicans would send him to the Gas chamber. 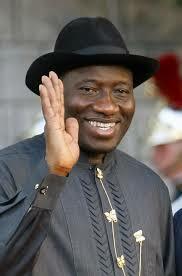 – In Some parts of Nigeria, Jonathan would be given Chieftain titles, Oh!!!! I forgot they already made him Azikwe. Some stupid Yoruba Oba prayed for him. The guy literally and sheepishly opened the national treasury for his cronies to loot as if today will never come; yet some buffoons are shouting and complaining about the current state of the country. Unless and until we take serious action against corruption, we shall keep complaining forever. We should massively ask for the Death Penalty for stealing or helping to loot public funds.